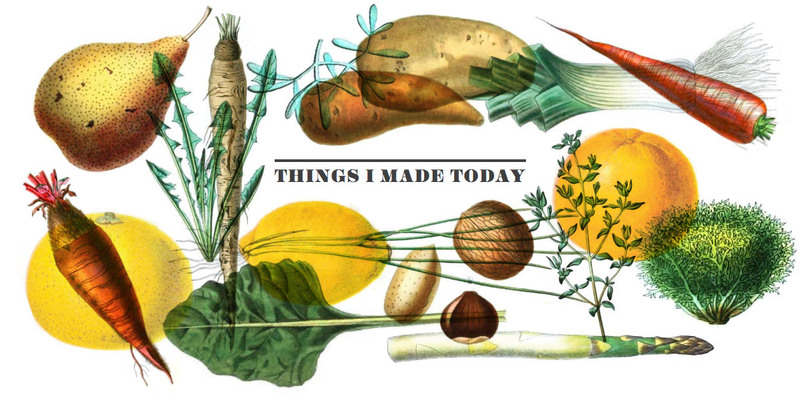 “Things I Made Today” is a food blog extraordinaire. Vicky’s knack for well-researched and photographed recipes inspires even the laziest of eaters to go make something delicious. 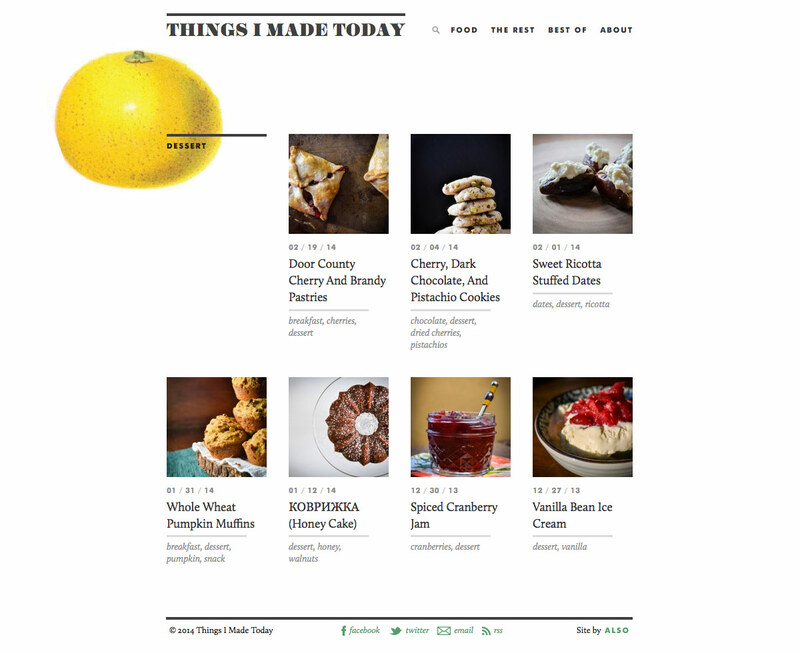 Using vintage food illustrations and a curated selection of typefaces, the design strives to make the blog feel timeless and even more appetizing. 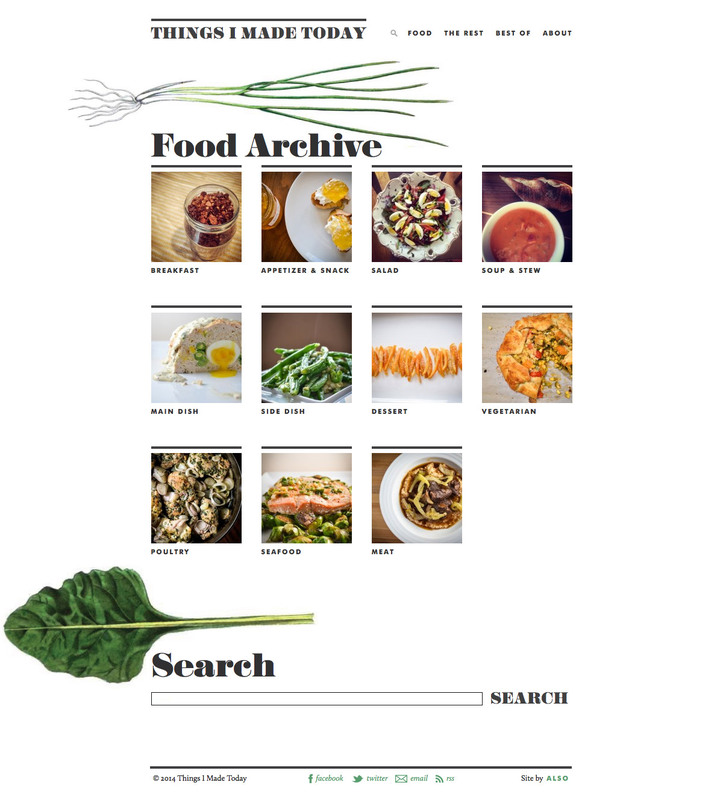 Don’t browse hungry.